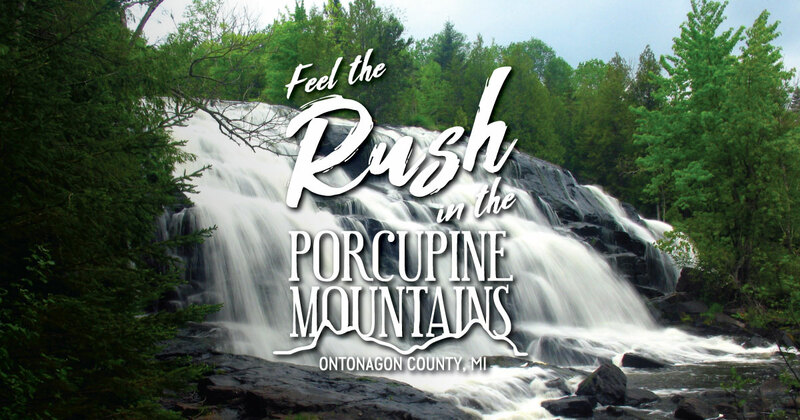 Beauty can be found everywhere you look in the Porcupine Mountains. It just depends on your vantage point. And when that vantage point is Copper Peak—the world’s largest manmade ski jump—the natural beauty seems boundless. Located 10 miles north of Bessemer, Copper Peak offers the highest unobstructed vista in the Midwest. You’ll gaze over 2,500 square miles of lush forests and the shimmering waters of Lake Superior. On a clear day, you can see parts of three states: Michigan, Wisconsin and Minnesota. Copper Peak Adventure Ride, open in summer and fall, takes travelers on an 800-foot chair lift ride and up an 18-story elevator to the viewing platform. The truly courageous can hike eight more stories to the uppermost starting gate for a truly spectacular view. Adventurous mountain bikers will find some outstanding riding on the trails at Copper Peak. Experienced riders can tackle thrilling descents. Some portions of the trails are also suitable for beginners.